The lure of doing business in China is strong, but fraught with complexity. You need an experienced China business consultant for China manufacturing and China sourcing, based in Portland, OR. You need a China trade consultant who knows the country. You need China Consultants Northwest, based in Portland Oregon. Under our founder, Paul Millius, China Consultants Northwest, has had a long and successful history of China business consulting. 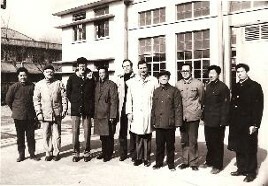 Mr. Millius has been doing business in China since 1979. He has traveled extensively in China, and is very familiar with Chinese culture and business practices. His earlier experience included work as a management analyst with the Port Authority of New York and New Jersey, and as a corporate strategic planner for the New York Stock Exchange. He also worked for the Midwest Exchange in Chicago as a department manager, organizing a computerized brokerage telecommunications service. He studied Mandarin Chinese at Yale University, and lived in Taiwan while in the Air Force. He has maintained fluency through classes, self-study, and his travels in China. He has a degree in Asian Politics from the University of California at Berkeley, and has done graduate work toward an MBA at New York University School of Business. in establishing a business partnership with a Chinese company.